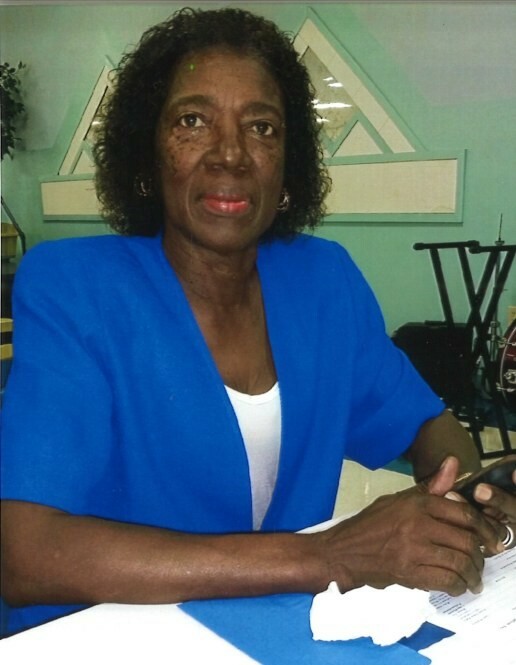 Mrs. Joan Ryams Jackson Barnes, 70, of Wilson, NC, passed away on January 24, 2019 at The Brian Center in Wilson, NC. The funeral service is scheduled for Saturday, February 2, 2019 at 1:00 pm at Tabernacle Temple of Jesus Christ, 1601 Lane Street, Ext., Wilson, NC. A public visitation will be held on Friday, February 1, 2019 from 1:00 pm until 6:00 pm with a wake service beginning at 6:00 pm at Stevens Funeral Home, 1820 Martin Luther King, Jr. Parkway, Wilson, NC. At all other times the family will receive friends at the home of Mr.Juan Jackson, Sr., 2400 Surry Road, Wilson, NC.